Ontario had exactly the same amount of absolute megawatts derived from coal as we do now and their last plant closes this year. It's a tiny little plant. It's in Thunder Bay which only has 300 megawatts and it's the last one to close and they'll have no more coal-fired power in that province. "I love deadlines. I like the whooshing sound they make as they fly by." So said Douglas Adams, author of the Hitchhiker's Guide to the Galaxy. And while every writer and student ever can sympathize with that sentiment it turns out the province of Alberta can as well. Alberta has admitted it can't meet its greenhouse gas targets for 2020. Simultaneously Alberta also has a whopper of an image problem. Whether it's dead ducks, Neil Young or a bitumen well that just won't stop leaking Alberta is taking it on the chin on the environment file. We tell stories about what can be done by amazing renewable energy entrepreneurs with our world-class wind and solar resources. So when we heard about a panel discussion at the University of Alberta campus featuring all four provincial political parties called "Phasing out Alberta coal power" we knew we had to be there. Phasing out coal in Alberta could mean meeting its greenhouse gas targets and bagging the unicorn of Alberta politics, real progress reducing greenhouse gas emissions and a positive environmental story. Dr. Joe Vipond is an emergency room doctor in Calgary, a member of the Canadian Association of Physicians for the Environment (CAPE) and the organizer of the event. He thinks we can phase out coal in Alberta in 10 years. "Ontario had exactly the same amount of absolute megawatts derived from coal as we do now and their last plant closes this year. It's a tiny little plant. It's in Thunder Bay which only has 300 megawatts and it's the last one to close and they'll have no more coal-fired power in that province." And Ontario did it fast, it took them just over a decade and now they are practically off coal altogether. They kept the lights on and also integrated massive amounts of solar, wind and biomass into their grid. Nova Scotia is trending in that direction as well. For a place that has so heavily depended on coal-fired power for so long coal is now down to 59 per cent of the electricity mix and provincial law mandates that renewables be 25 per cent of the electricity mix by 2015. At the event was Donna Kennedy-Glans, a Progressive Conservative MLA and recently appointed associate minister of a brand new portfolio - Electricity and Renewable Energy. While she was cautious there were some positive signs. "I also understand what we have here in Alberta and I think we're blessed. We have sunshine, we have a lot of wind, we have natural gas which right now is relatively cheap and accessible, we have an industrial base that does cogeneration and creates electricity as a byproduct. 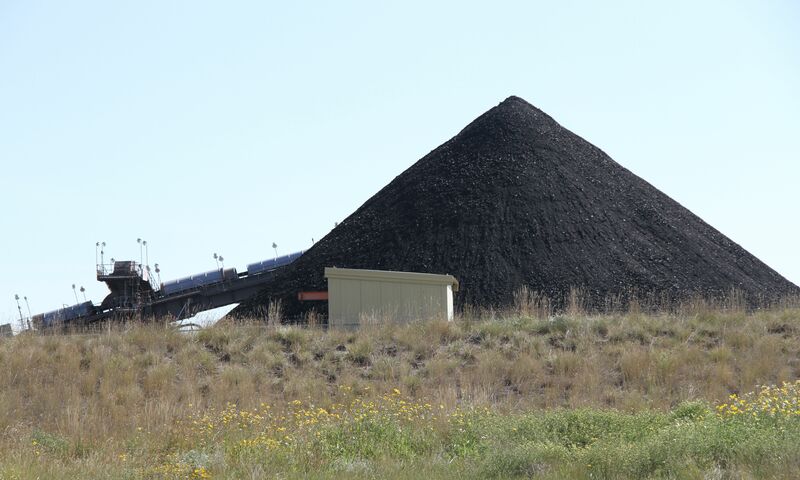 We are committed to doing something to reduce coal," said Kennedy-Glans. Both Rachael Notley of the New Democrats and David Swann of the Liberals pushed for a more rapid decommissioning of coal plants and a much more rapid deployment of renewable energy and energy conservation. "Coal has had its day. It's time to move to cleaner technology along with greater investment in renewables and energy conservation," said Swann. Joe Anglin of the Wildrose Party said the Wildrose sees natural gas and hydro as good choice for base load electricity and "a big part of this has to be renewables." These kinds of transitions have been done and not just in other provinces. Denmark looks like it going to meet its goal of getting 50 per cent of it's electricity from wind power by 2020. And in just 12 years Germany went from getting 6.3 per cent of its electricity from renewable energy to 25 percent in 2012. Kennedy-Glans hinted that natural gas will play a big role in reducing coal's dominance but that there are some serious efficiency and conservation gains to be made as well. Ontario recently put out an ambitious energy plan that calls for a 30-terawatt hour reduction in electricity demand by 2032. To put that in perspective coal fired plants generated 38 terawatt hours of electricity in Alberta in 2012. And the easiest way to save on building out new electrical generating stations is to not have to build them in the first place. A homegrown plan developed by the Alberta Energy Efficiency Alliance found that Alberta could get halfway to its greenhouse gas targets with the right mix of energy efficiency programs. Alberta has an image problem and an emissions problem and you can take both of them out in one fell swoop by phasing out coal in a quick and responsible manner.